Almond milk has gained popularity in recent years. Most people think it’s a new thing because of this popularity, but it has been around since the Middle Ages. The benefits of almond milk were known in Spain and as far as East Asia and across many regions. Almond milk certainly has many benefits and is, therefore, a good alternative to milk. It has low-fat contents and is rich in calcium as well as vitamins. In addition, it’s very good in preventing heart deceases and even cancer. This milk is also good for the proper functioning of one’s brain and helps to control levels of blood sugar. Sugar concentration is one of the benefits of making almond milk, it has less sugar and fewer calories than cow’s milk. It has sixty calories per eight ounces of glass compared to 120 calories for whole milk of cows (1). 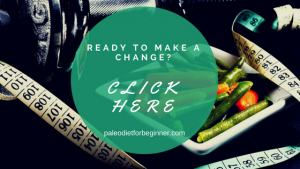 It makes it a great tool for weight loss and suitable for most of the low calorie and low carb diets, including the paleo diet. In addition, the nutrients of this drink are natural and have even proven to be better for you than soy milk. Soy milk has more sugar than its counterpart. Almond milk is even safe for people with milk and soy allergies. Almond milk is much cheaper than regular milk, especially homemade one (check my recipe over here). This gives you more nutrients at a cheaper price than the conventional one. It also proves as a better snack than the normal ones, which are loaded with calories, chemicals, and hormones that are harmful to the body. Almond milk can also be used in other recipes such as cakes, pastries and as additives in normal dishes. This is because it has a pleasant nutty taste and does not adversely affect taste. It has a unique taste. It is very light, crisp and nutty. A good use would be to add it to your coffee or tea for a pleasant morning treatment. Or have a glass of almond milk with chocolate chip or granola cookies! It will also add a nice nutty flavor to your sauces and baking. Another benefit of almonds is more on the practical side. Unlike other dairy products, it does not have to stay cold. Almond milk has simple storage requirements, and it’s okay to keep it at room temperature. This makes it a good choice for traveling. It is perfect for trips or holidays. The human body gets a lot of benefits from almond milk. These benefits are easily achieved by people who need to increase the levels of potassium and magnesium in their body by changing their diet (2). It has proven to be the perfect milk for people with lactose intolerance. It’s an extract of protein-rich almonds and contains more nutrients than other dairy products. Most benefits of almond milk are all vitamins, minerals and exploding amounts of antioxidants. Like many other benefits of almonds, almond milk is very good for you and your health. It contains a lot of magnesium. It helps to turn the energy in food into usable energy. Manganese can make enzymes active in your body. Phosphorus helps bones and teeth stay healthy. Almonds also benefit from potassium, which improves your heart function to maintain normal blood pressure. It even has good sources of vitamin E.
Almonds are good for your immune system. It works in the metabolism of the thyroid and thus prevents cell and tissue damage. Almonds activate enzymes in the body system so that the body mechanisms are promoted and the functioning of the body works properly. Almond milk will suit everybody who has milk intolerance or chose voluntarily to exclude dairy from their food. 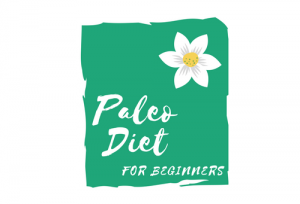 Therefore it will suit perfectly to those who follow the paleo or any other low carb and low-calorie diet. This milk contains no ingredients other than the almonds themselves and water. Research has found that most skin problems like acne are a result of poor nutrition. 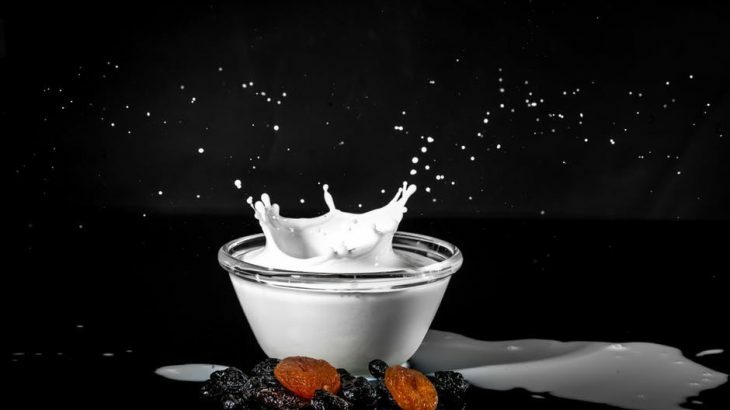 Milk is a major cause of the onset of acne pimples on the skin. However, more research has found that almond milk has no effect on the skin as it has no saturated fats. This ensures that there is no deposition in the skin surface. Therefore, almond milk is the best for people who want to maintain a good skin. It’s a natural cure for acne, rather than introducing harsh products that later have devastating effects on the skin. Almond milk is lactose-free, plant-based milk that is a great and delicious substitute for the traditional milk. It has a mild nutty taste that you will enjoy not only drinking but also using a lot of different recipes. It suits not only people with milk intolerance but also to those who aim to lose extra weight and inches. Almonds are also rich in nutrients including the natural antioxidant, vitamin E, fiber, heart-friendly fatty acids and protein, smaller amounts of vitamin B and minerals. Almond milk contains only almonds and milk and can be easily made at home or purchased at the local stores. Though if you decide to buy it from your local store make sure to read the label. A lot of commercially made almond milk packages contain more than just almonds and water (like sugar or other sweeteners). You can easily make your homemade almond milk and it will be cheaper and will not take you too much time. You also will be in control of the ingredients. Nutrition Facts almond milk, alternative to cow milk, facts about almond milk, health benefits of almond milk, healthy alternative to cow milk. permalink. I have been using almond milk for quite a while, but I was not aware of all of its nutritional value and health benefits. After reading your post, I’m really glad I made the switch a long time ago! Thank you for sharing this information! Thank you for your feedback. I am glad that you found this information valuable. I do love homemade almond milk, it beats the stores hands down in terms of taste and quality. I love it even more now I’ve discovered just HOW good it is now I’ve read this post! Looking forward to trying your recipe. Thanks for sharing. I am very happy that you found this post valuable! Would you like to share your favorite recipe using almond milk? Or you prefer just to drink it? This is such an amazing post!! I didn’t know there were so many benefits from drinking almond milk. I guess its because we always think that fresh cow’s milk is the best. I would recommend this to some of my friends who might thining of losing some weights. Thank you. Almond milk is definitely a great substitute for cow’s milk! It is nutritious and suitable as a substitute to milk in most of the recipes 🙂 I hope your friends will find this information valuable too! I never looked into Almond milk benefits, but i do drink Almond milk. Thanks for writing this article. This is very informative. I should drink Almond milk more often, I have slight acne issue. But i do break out sometimes from chocolate. I love chocolate. Good article. Thank you for your comment. I am happy that almond milk is already a part of your day-to-day nutrition!